The Aspire Swift and Spin series are super sleek, aesthetically pleasing, extremely thin and light laptops. You will be the envy of all your friends. They impress us with their look and overall high-quality finish. Premium materials such as aluminum and aluminum-magnesium are used for a surprisingly solid chassis that, when closed tight, feel like they’ve been carved from a single piece of metal. By being extremely lightweight they deliver such super portability that you’ll hardly notice that these laptops are there. With a robust all-metal build, and measured for extreme thinness, these machines have a similar thickness to a pencil. Now you can slide the machines into the gaps between everyday objects. The relatively quiet keyboard feels rigid and solid enough to survive daily use. It has a great springy feel that doesn’t bottom out uncomfortably. Key spacing is decent without any particularly small keys or odd spaces. 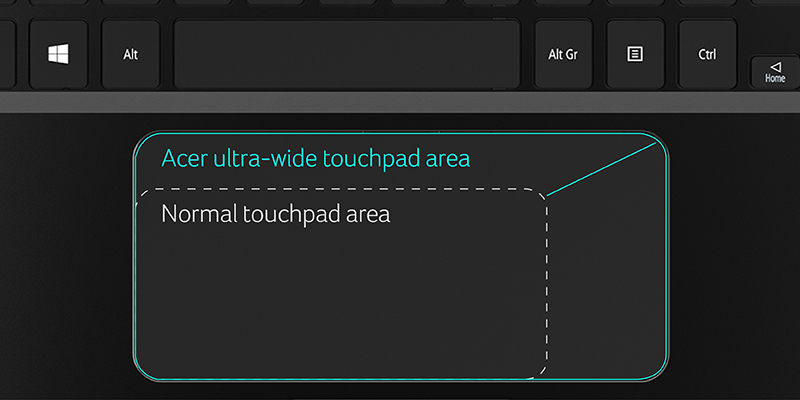 The unusually large, ultra-wide touchpad mimics the screen’s 16:9 aspect ratio and stretches across most of the keyboard area. It is smooth, with excellent responsiveness and accuracy, and the buttons are nice and clicky without being too loud or too sensitive for comfortable interaction. The keyboard is refreshingly good. It has above-average travel for the class of machine, with a nice springy feel that doesn’t bottom out uncomfortably. 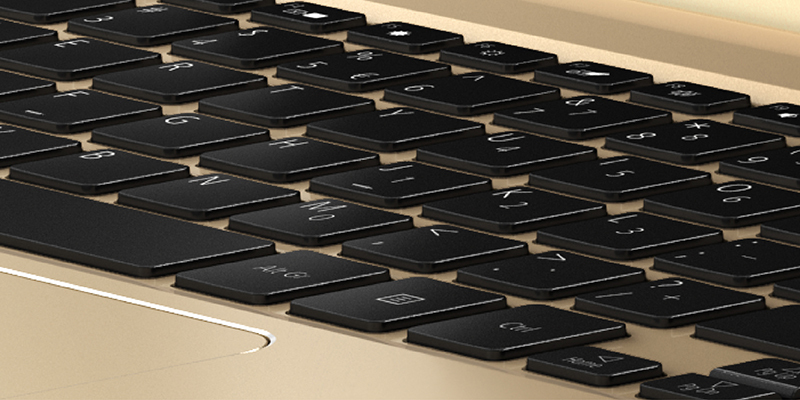 With the super thin body design, you can feel like your fingers tap-dance while tapping away on the tactile keyboard. The ultrathin, light, and handsome convertible Spin series accomplish their transformation with 360-degree fully reversible hinges. The hinges are firm, and easily swivel into tablet, tent, or display modes, for playing games, watching movies, or sharing presentations. With such amazing transformations, Spin’s fit any possible scenario, and help you in ways you’ve never thought of before. Sooner or later, it will become irreplaceable in your life.